﻿ Management Team - Market Center Management Company, Ltd.
Market Center Management Company has built a legacy of owning and/or managing market centers and associated trade shows around the world for more than half a century. It is led by a team of professionals dedicated to the success of each show and venue. Cindy Morris is president and CEO of Dallas Market Center, the global wholesale marketplace and tradeshow management company hosting dozens of business-to-business trade events each year inside its 5 million square foot campus. Morris joined Market Center Management Company in April 1989, was named executive vice president of marketing in August 1992, COO in 2002, and president and CEO in 2015. Over the course of Morris’ tenure, she has overseen strategic growth across key product categories, significant new business initiatives, and effective international partnerships in Europe and Asia. She has been instrumental in establishing and strengthening collaborative relationships with retailers, trade organizations, manufacturers, and sales representatives. Under her guidance, Dallas Market Center has attracted tens of thousands of new customers and maintained industry-leading loyalty from the more than 200,000 Dallas Market Center customers. Finally, award-winning marketing programs and customer-focused communications have resulted in trade events and markets attended by more retail buyers and interior designers from across the U.S. and internationally. Morris is a graduate of Texas A&M University and holds a B.B.A. in Marketing. Morris and her husband, Greg, have two sons, Colin and Blake. Professional organization affiliations and board positions have included: Dallas Convention & Visitors Bureau board member, Texas Retailers Association board member, Executive Women’s Roundtable, Dallas Regional Chamber, WithIt, Women’s Leadership Development Network, ART, and Design Industries Foundation Fighting AIDS (DIFFA). 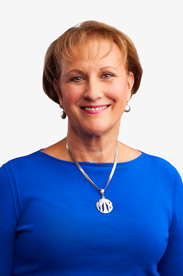 Mitzi Tally is executive vice president of administrative services responsible for lease administration, exhibitor services, trade show administration and trade show operations, and legal and insurance administration. She joined Market Center Management Company (MCMC) in 1985, serving as a lease administrator for the INFOMART, a former technology trade mart in Dallas, from 1985 to 1992. In this position, Tally was responsible for lease negotiations and interfacing with joint venture partners on lease related details. She then transferred to Market Center Management Company where she served as vice president of lease administration from 1992 to 1995. In this role she was responsible for the management of lease administration and lease negotiations along with exhibitor services. In 1995, Tally was promoted to her current position as executive vice president. Tally holds a B.S. degree from the University of Texas at Austin and has done post-graduate work at the University of North Texas. She and her husband, Larry, have two children, Jordan and Megan. Professional organization affiliations and board positions have included the Nordstrom Retail Trend Advisory Panel, Hope Medrano Elementary Board of Friends, and the Stemmons Corridor Business Association. 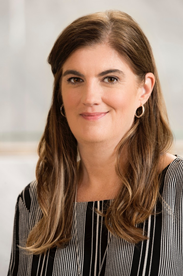 Eva Walsh serves as executive vice president of new business and retail development, responsible for overseeing the buyer delivery and strategic business growth for Market Center Management Company (MCMC). 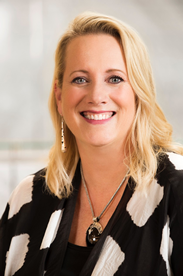 She first joined Dallas Market Center in 1989 as director of marketing and was promoted to director of leasing for the bridge and women's apparel industries. In 2003, Walsh relocated to California with her family where she consulted for various companies, including Dallas Market Center on the development of FashionCenterDallas®, the new fashion marketplace inside Dallas Market Center that opened in 2004. 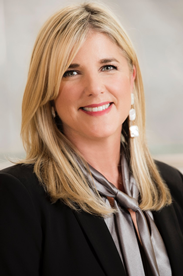 In 2012, she returned to Dallas Market Center as vice president of business development and led the company’s team for specialty store and major store relation, as well as new business opportunities. Walsh holds a bachelor’s degree in communications and marketing from Texas A&M University. She resides in Argyle, Texas with her husband, Doug, and their four children. Cherie Marcum is executive vice president of finance, overseeing the company’s financial processes, audits and budgeting system. She joined Dallas Market Center in 2007 as a controller and was promoted to vice president of finance in 2008. Marcum previously served as accounting manager then assistant corporate controller at Carreker Corporation, responsible for financial practices and procedures relative to accounting systems and reporting. She also coordinated external audits for the company. In addition, Marcum held the positions of senior accountant and controller at Internet America, supervising accounts receivable and accounts payable staff, providing accurate financial results and high-quality reporting. She has served in various financial leadership positions at Northern Telecom, Citizens Communications and Deloitte & Touche LLP. Marcum earned a bachelor’s degree in accounting from Baylor University and went on to finish her CPA certification. She resides in Dallas with her family and is involved with various activities throughout the community benefitting Alzheimer’s, diabetes and breast cancer research. Penni leads the development and execution of marketing strategies and programs across all sales channels and communications platforms for Dallas Market Center. She oversees branding and brand marketing, communications, advertising, events, and publishing. Her goal: driving awareness, buyer traffic, new exhibitors, and customer affinity for a growing marketplace attracting more new buyers to its markets and more loyal customers to its open-daily showrooms. Barton has almost three decades of retail and marketing experience including integrated marketing/communication strategies, creative development, content creation, special events, advertising, brand management, digital marketing and advertising, social media, market research, customer experience optimization, and prospect acquisition. 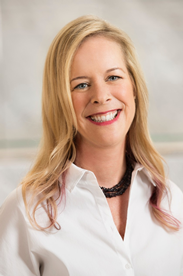 She has worked with an impressive range of leading companies including Pizza Hut, Dr. Pepper/Snapple, FedEx/Kinko’s, Proctor & Gamble, Bimbo Bakeries, Gallo Wines, Lone Star Steakhouse, Clorox, Honda, Mars Foods, Nestle, Whirlpool, Subway, and Wells Fargo.